The Church of Jesus Christ (Bickertonite) is part of the Latter Day Saint movement. When Joseph Smith, the founder of the movement, died there was a dispute regarding who should lead the church as his successor. The Quorum of the Twelve, led by Brigham Young, argued that they should have the right to lead the church while one of the church leaders, Sidney Rigdon, argued that he should act as protector of the church until a permanent leader was chosen. Those who followed Rigdon formed the "Church of Christ" with its center being Pittsburgh, Pennsylvania. After an attempt to start a communitarian society, Church of Christ broke apart by 1847. William Bickerton associated himself for two years with The Church of Jesus Christ of Latter-day Saints (LDS Church) and later left them behind refusing to accept some of their beliefs, including polygamy. In the 1850s Bickerton's preaching led to the formation of a new church in Eastern Pennsylvania. Over the following years Bickerton's church faced two schisms related to doctrinal issues. Its current official name, The Church of Jesus Christ, was adopted by 1941. The Church of Jesus Christ claims to be a continuation of the Church of Christ, which was the original church organization established by Joseph Smith informally in 1829 and then as a legal entity on April 6, 1830 in northwestern New York state. On April 6, 1830, Joseph Smith, Oliver Cowdery, and a group of approximately 30 believers met to formally organize the Church of Christ into a legal institution. Traditionally, this is said to have occurred at the home of Peter Whitmer, Sr. in Fayette, New York, but early accounts place it in Manchester. Soon after this formal organization, small branches were formally established in Fayette, Manchester, and Colesville. Smith and his associates intended that the Church of Christ would be a restoration of the 1st century Christian church, which Smith taught had fallen from God's favor and authority because of a Great Apostasy. In late 1830, Smith envisioned a "city of Zion" in Native American lands near Independence, Missouri. In October 1830 he sent his second-in-command Oliver Cowdery and others on a mission to the area. Passing through Kirtland, Ohio, the missionaries converted a congregation of Disciples of Christ led by Sidney Rigdon, and in 1831, Smith decided to temporarily move his followers to Kirtland until the Missouri area could be colonized. The church headquarters remained in Kirtland from 1831 to 1838. Many of Smith's followers attempted to colonize Missouri throughout the 1830s, and Smith himself moved there in 1838, the church faced political and military opposition by other Missouri settlers. After a series of crises, the church then established its new headquarters in Nauvoo, Illinois, a city they built on drained swampland by the Mississippi River, where Joseph Smith served as mayor. There, the church thrived until Smith and his brother Hyrum were killed by a mob in 1844. They were awaiting trial for crimes related to the destruction of the printing press of the Nauvoo Expositor. At the time, Joseph Smith was a minor candidate for President of the United States with Sidney Rigdon as his running mate. Before his death, Smith also began teaching doctrines that were rejected by the later church, particularly plural marriage. When Joseph Smith was killed in 1844, there was confusion about who should succeed him in leading the church. Many of the leaders of the church were absent from Nauvoo at the time of his death, serving as missionaries or working on Joseph Smith's presidential campaign. Sidney Rigdon was in Pittsburgh, Pennsylvania when he heard of Smith's death, and hurried back to Nauvoo, becoming one of the first church leaders to return. He quickly announced that he had the right to lead the church as its "guardian" until proper proceedings could decide the next church president, and that the Quorum of the Twelve did not have the right to lead the church. Rigdon had been ordained by Joseph Smith as a "Prophet, Seer and Revelator" — which were some of the same ecclesiastical titles held by Smith. The Quorum of Twelve Apostles, led by Brigham Young, also claimed the right to lead the church. The Quorum of the Twelve's claim was derived from a revelation of Joseph Smith allowing them to stand equal to the First Presidency in attending to matters of the church not of a spiritual nature. Many individuals later claimed to have heard Joseph Smith say if Brigham Young ever got control of the church he would run it to the devil. The most notable of these individuals was Joseph Smith's own brother, William Smith. The Church of Jesus Christ maintains that the First Presidency had made nearly all the major decisions and led the Church of Christ prior to Smith's death, and as first counselor to Smith, Rigdon should naturally have been the leader of the church after Smith's death. With this understanding, The Church of Jesus Christ actively opposes the opinion that the Quorum of Twelve had the right to lead the church. The position of The Church of Jesus Christ is that Rigdon should have been allowed to be what he claimed to be—a "guardian" over the church until proper proceedings could decide the next church president. The Church of Jesus Christ maintains that the proceedings which authorized Brigham Young to lead the church were a violation of proper proceedings of the church. The Latter Day Saints who followed Rigdon separated themselves from the followers of Young. While the group led by Young remained in Nauvoo, Illinois and eventually settled in Utah Territory, Rigdon and his followers settled in Pittsburgh, Pennsylvania. On April 6, 1845, Rigdon presided over a conference of the Church of Christ, which he claimed was the rightful continuation of the church founded by Smith. (Historians often refer to Rigdon's church as the Church of Christ (Rigdonite) and its adherents as Rigdonites, Pennsylvania Latter Day Saints, or Pennsylvania Mormons.") William Bickerton was among those converted by Rigdon's preaching, and was baptized at Pittsburgh in 1845. Later that same year Bickerton was ordained an elder and shortly after an evangelist in the church. At a general conference of the church held that fall in Philadelphia, Rigdon announced that the church would re-establish a communitarian society on what was named "Adventure Farm" near Greencastle, Pennsylvania. Many of Rigdon's followers, including Bickerton, opposed moving the headquarters of the church. By 1847, disagreement among the members had led to the virtual disintegration of Rigdon's church, and Bickerton claimed that the Rigdonite organization had fallen away. Several prominent members, including William E. M'Lellin and Benjamin Winchester, separated from Rigdon's church and established another organization centered around the leadership of David Whitmer. However, some followers of Rigdon, including Bickerton, refused to join this group of dissenters. Bickerton remained in Monongahela, Pennsylvania, and never moved to Greencastle with Rigdon. By April 1847, the Adventure Farm community had collapsed and Rigdon had abandoned his followers. Having a strong conviction in the beliefs he had gained, but left without an organization, Bickerton associated with two elders of The Church of Jesus Christ of Latter-day Saints (LDS Church) in Elizabeth, Pennsylvania from March 1851 to March 1852. Bickerton acted as Presiding Elder of this Latter Day Saint church in West Elizabeth, Pennsylvania. In 1852, representatives of LDS Church president Brigham Young visited Bickerton and informed him that he must teach plural marriage. Bickerton replied, "If the approval of God were to come to me by accepting the doctrine of polygamy, I prefer the displeasure of God." Bickerton disassociated himself from the LDS Church because of its adherence to doctrines that he felt could not be substantiated in the Bible or the Book of Mormon, particularly plural marriage. At a conference in Green Oak (also known as Greenock), Pennsylvania in July 1862, leaders of several branches in Pennsylvania, Ohio and Virginia came together and formally organized "The Church of Jesus Christ". Bickerton presided over the conference. Bickerton's two counselors in the newly organized First Presidency were George Barnes and Charles Brown, who were ordained apostles. A Quorum of Twelve Apostles of that organization was also ordained. Those called to the Twelve (ordered by seniority) were Arthur Bickerton, Thomas Bickerton, Alexander Bickerton, James Brown, Cummings Cherry, Benjamin Meadowcroft, Joseph Astin, Joseph Knox, William Cadman, James Nichols, John Neish and John Dixon. The church was incorporated in Pittsburgh, Pennsylvania in June 1865 with the legal name, "Church of Jesus Christ of Green Oak, Pennsylvania." The church quickly produced a translation of the Book of Mormon in Italian, and a significant amount of the church's early growth during the 1870s took place among Italian American immigrants in Philadelphia. People of Italian heritage have remained a significant element of the church's membership since that time. In 1874, the church appointed a committee aimed at achieving a gathering of the church among the Native Americans. The following year Bickerton accompanied by approximately thirty-five to forty families moved to Kansas to found the Zion Valley Colony, which later became the town of St. John, Kansas. After dedicating Zion Valley, Bickerton encouraged the saints to migrate there. Shortly after their arrival, Bickerton and his followers erected a church, "about 40x70 feet", which nonmembers called the "Mormon temple". However, the community of Zion Valley did not last due to dissension among the members, and "a few years later the temple was sold to Swartz Bros. who converted it into a hardware and drug store." The saints who remained in Pennsylvania pledged to support the missionaries as best they could. As the church began to grow in the East, membership sought to establish missionary work with the Native Americans. In 1874 the church appointed a committee to establish a church in Stafford County, Kansas. The following year William Bickerton dedicated land now known as St. John, Kansas. At the time it was named "Zion Valley". Membership was encouraged to move and remaining members to support the mission financially. During this time, division in the church grew between east and west. William Cadman was elected president of the church in the east in 1880, while Bickerton remained president over the members in the west because of the geographical differences. At the time, there were ten missions in the east and Zion Valley in the west. In 1880, the church faced a serious crisis when charges of adultery were brought against Bickerton by another member of the church in Kansas. Although Bickerton maintained his innocence, a church council decision went against him and he was disfellowshipped from the church. He was later exonerated of the charges in court and reinstated in the church in 1902. Bickerton remained a church member until he died in January 1905. In 1887, at the final General Church Conference to be held in Kansas, the church headquarters was moved back to Pennsylvania, where it has been ever since. By 1904, Cadman was the only surviving member of the Quorum of Twelve Apostles. The Quorum was filled once again at a conference held that July. The following year Cadman died. At the conference of the church in 1907, apostle Allen Wright distributed a pamphlet that expressed a dissenting opinion on the Second Coming of Jesus and the nature of Christ's millennial reign on earth. The conference condemned the publication and passed a resolution that suspended any member who believed Wright's ideas. Wright and five other members of the Quorum of Twelve Apostles refused to sustain the administrative action of the conference and subsequently were removed from office and excommunicated. A few months later, the six apostles and their followers organized the Reorganized Church of Jesus Christ, with former Church of Jesus Christ apostle William T. Maxwell as president. 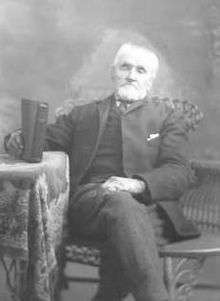 In 1914, another schism occurred in the main church, this one led by James Caldwell, an evangelist in the church. Caldwell's groups opposed The Church of Jesus Christ's continued use of the quorum of the First Presidency, which they claimed was an alien institution to the true Church of Jesus Christ. Caldwell and his followers named their church the Primitive Church of Jesus Christ. Eventually, the Primitive Church of Jesus Christ merged with the Reorganized Church of Jesus Christ, and the combined organization survived into the 1970s. In 1971, The Church of Jesus Christ absorbed the First Presidency, which they call the quorum of three, into the Quorum of Twelve. On 5 April 1941, the church in Pennsylvania was granted the title of "The Church of Jesus Christ" by Washington County, Pennsylvania. The church today is legally registered as "The Church of Jesus Christ" in the corporate registry of the state of Pennsylvania. ↑ Lovalvo, V James (1980). It is Written: Truth Shall Spring Forth Out of the Earth. Fresno, California: Midcal Publishers. p. 318. 1 2 McKiernan, M.F. (1979). "Volume 56". The Voice of One Crying in the Wilderness: Sidney Rigdon, Religious Reformer. USA: Coronado Press. p. 9. ↑ Earlier, on March 27, 1836, at the dedication of the Kirtland Temple, Joseph Smith had asked the members of the church to accept the members of the First Presidency and Quorum of the Twelve as "prophets, seers, and revelators": see B.H. Roberts (ed), History of the Church of Jesus Christ of Latter-day Saints 2:417; see also Latter Day Saints' Messenger and Advocate 2:277. ↑ Bushman, Richard Lyman (2006). Joseph Smith: Rough Stone Rolling. New York, NY: Alfred A Knoff. 1 2 Primitive Mormonism: Personal Narrative of It by Mr. Benjamin Winchester, an Early Convert and Church Elder," Salt Lake Daily Tribune, XXXVII:135. Salt Lake Daily Tribune. 22 September 1889. 1 2 3 4 5 6 The Church of Jesus Christ (2002). A History of The Church of Jesus Christ: Volume 2. Monongahela, PA: The Church of Jesus Christ. ↑ On December 27, 1847, when Young organized a new First Presidency, the Quorum of the Twelve only had seven of its twelve members present to represent a council to decide the Presidency. Nine members of the Quorum were in attendance, but only seven of the individuals were members of the Quorum on June 27, 1844, when Joseph Smith had died. Two members of the Quorum—Amasa M. Lyman and Ezra T. Benson—had been added by Young since Smith's death (although Lyman had originally been called as a member of the Quorum under Joseph Smith two years before Smith's death, to replace Orson Pratt, before Pratt was re-instated in the Quorum and Lyman was instead made a counselor in the First Presidency). 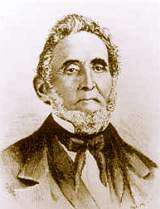 William Smith, John E. Page, and Lyman Wight had previously denounced the proceedings and were not present. John Taylor and Parley P. Pratt were in the Salt Lake Valley and could not have known of the proceedings. This left just seven present, a majority of one meaning Young would have to vote for himself in order to gain a majority quorum vote in favor of his leadership. Young chose two of the other apostles, Heber C. Kimball and Willard Richards, as his counselors in the First Presidency. This left only four members of the Quorum of the Twelve present to vote in favor of creation of the new First Presidency: Orson Hyde, Wilford Woodruff, George A. Smith, and Orson Pratt. The Church of Jesus Christ views this action as a violation of church law compromising the authority of Sidney Rigdon without a majority quorum vote. ↑ See, e.g., Donald E. Pitzer (1997). America's Communal Utopias (Chapel Hill: University of North Carolina Richard Press) p. 484; Howard, "William E. McLellin: 'Mormonism's Stormy Petrel'" in Roger D. Launius and Linda Thatcher (eds) (1998). Dissenters in Mormon History (Urbana: University of Illinois Press) pp. 76–101. ↑ Bickerton, William (1975). William Bickerton's Testimony. Monongahela, PA: The Church of Jesus Christ. ↑ Elder John Murray and Elder David James Rofs were ordained elders of the LDS Church. The Church of Jesus Christ views the West Elizabeth church, organized with Bickerton as Presiding Elder, to be the beginning of The Church of Jesus Christ. The LDS Church also claims this branch as its own because of Rofs and Murray's association. In 1852, this branch declared it had no association with the LDS Church. 1 2 3 J. Gordon Melton (1996, 5th ed.). Encyclopedia of American Religions (Detroit, Mich.: Gale) ISBN 0-8103-7714-4 pp. 580–581. ↑ Cadman, William (August 11, 1887). The Sun. St John, Kansas: The Sun, local periodical. ↑ Calabrese, Apostle Joseph (October 1994). "Gospel News". What is the Book of Mormon?. Bridgewater, MI: The Church of Jesus Christ. 1 2 3 4 5 Bickerton, William, The Ensign, Pittsburgh: W. Bickerton, 1863, p. 10, quoted in History of the Reorganized Church of Jesus Christ of Latter Day Saints, 1890, 3:74-77. 1 2 Lovalvo, V James (1986). Dissertation on the Faith and Doctrine of The Church of Jesus Christ (PDF). Bridgewater, MI: The Church of Jesus Christ. pp. 115–16. 1 2 3 Cadman, William H. (1945). A History of the Church of Jesus Christ. Monongahela, PA: The Church of Jesus Christ. ↑ Launius, Roger D. (Spring 1994). "The 'New Social History' and the 'New Mormon History': Reflections on Recent Trends". Dialogue: A Journal of Mormon Thought. 27 (1): 109–127 (118). Retrieved 2007-09-17. ↑ Entz, Gary R. (Summer 2001). Zion Valley: The Mormon Origins of St. John, Kansas. Kansas: Kansas History 24. pp. 98–117. 1 2 William G. Cutler (1883). History of the State of Kansas (Chicago: A. T. Andreas) s.v. "Stafford County". ↑ Allen Wright (1907). A Conversation on the Thousand Years' Reign of Christ (St. John, Kan.: The County Capital). 1 2 3 4 5 6 J. Gordon Melton (1996, 5th ed.). Encyclopedia of American Religions (Detroit, Mich.: Gale) ISBN 0-8103-7714-4 pp. 583–584. ↑ Joseph Calabrese (1991, reprint.) Questions and Answers (Monongahela, PA: The Church of Jesus Christ) pp. 39–40. ↑ Registered corporate name in the Pennsylvania corporate registry. Entz, Gary R. "The Bickertonites: Schism and Reunion in a Restoration Church, 1880-1905," Journal of Mormon History 32 (fall 2006): 1-44. ↑ While not considered a schism of the Church of Christ (Fettingite) and its founder Otto Fetting, the Church of Christ at Halley's Bluff accepted Fetting's revelations, but it did not immediately break with the Fettingites in 1929. Nerren and Long instead formed a separate sect in 1932, which was later joined by five other former Temple Lot congregations by 1941. ↑ Sects eventually merged into a single organization that was defunct by 1970.